This plan is designed for the homeowner to take responsibility for their yard’s appearance. Includes 4 visits per year. The Basic will not help “bare spots”. It may create bare spots by eliminating weeds. This plan includes the same terms as Basic Turf but adds 3 additional trips. Although Go-Forth Pest Control offers the same set of services to all customers who purchase our Lawn Care Services, we will specialize your lawn treatment plan to fit your individual location. We serve the Triad and surrounding areas and we will make a lawn maintenance plan based on your pest problems, soil content, grass type, number and types of ornamentals, climate and more. We know no two lawns or gardens are the same, so why should your lawn care treatment plan be? We will make sure your lawn is pest free, a lawn free of pests is a happy lawn, plus you will be able to enjoy your backyard and garden without worrying about being bothered by spiders, ants, wasps and many other insects. No lawn or yard is complete without being fertilized, we will make sure the soil has the necessary nutrients to grow green and healthy, treating your lawn will keep it happy and green, if your lawn is looking sad, let us help you treat it. Let your lawn breath, we will Aerate a Lawn so that water, air and nutrients gets inside and it’s not so compact. This helps the roots grow and produce a greener lawn, giving you a very healthy lawn. Is your lawn brown or patchy,we will fix Bare Spots, let us seed your lawn and make it great again. 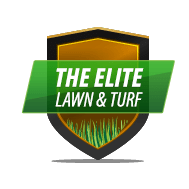 First we will identify the grass type and soil type your lawn has, since most turfgrasses prefer neutral soils, Turfgrasses are either cool-season grasses or warm-season grasses, we will determine the exact type based on your location.